January 2016 – HRS has updated its web presence with a sleek new website designed by We Interactive. The website provides a detailed account of our current service lines and drilling capabilities. It also highlights key projects that demonstrate our diverse set of skills and drilling expertise. Projects include environmental investigation, environmental remediation, large scale geothermal, residential-scale geothermal, water wells, and construction. We also wanted the website to capture our company’s long history. The About Us page provides a quick summary of over 80 years of contract drilling of our predecessors and has a current listing of our drilling equipment. We want to establish a relationship with current and prospective clients and the website now allows these visitors to quickly request additional company information and quotes with a quick form submittal, but also lists our contact information by more traditional means via telephone, mail and in person. 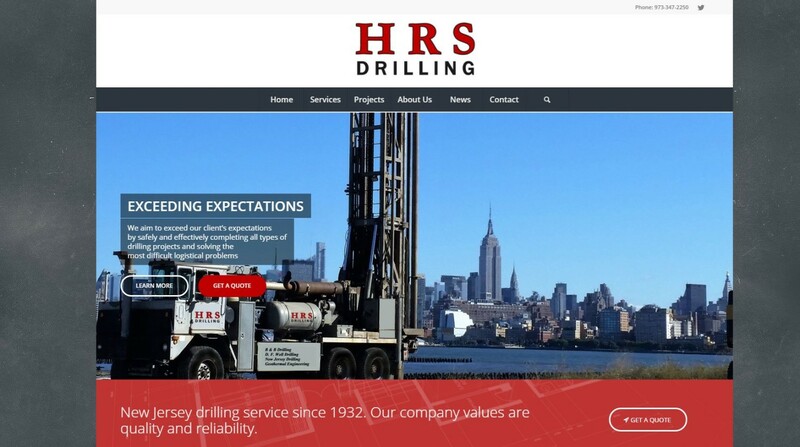 To further reach out to our customers we have also launched a twitter account @HRSDrilling to provide quick updates, interesting photographs, and other company news.